There are three strategies that you as a buyer can utilize to win a multiple offer situation. The first is shortening the contingency period in your offer. A contingency period in a normal offer is anywhere from 17 to 21 days. Your offer may look stronger if you shorten up your contingency period to perhaps 15 or 10 days. This makes you appear to be more serious about your offer. The seller might be willing to take your offer over other offers that are higher just because your contingency period and your terms make more sense for them. The second strategy you can use is writing a personal letter to the seller letting them know why they should choose your offer over everyone else’s. That letter could mean the world to them because it makes your offer more personal. The third strategy is to include your lender’s information in your offer. This includes their cell number, email, and the name of their company. In this case, if the seller is looking to do their due diligence on the offer to make sure that you’re approved or have the amount ready for the down payment, they have all the information they need in order to do so. If you’re looking to buy our sell a home, don’t hesitate to get in contact with us. Just give us a call or send us an email, and we’d be happy to help you. Search the entire MLS for homes located in Sacramento. Is Sacramento Headed for Another Bubble? Is It Still a Good Time to Buy? How Is the Sacramento Real Estate Market Really Doing? Why Is it Such a Great Time to Sell in Sacramento? What's Happening with the Market in Elk Grove? What Are the Best Repairs to Make on Your Home? Is It a Good Time to Sell Your Sacramento Home? What Do You Need to Know About Closing Costs? Are You Unsure If You Want to Buy a New Home? Who Pays Your Agent’s Commission as a Buyer? What Are the Main Advantages of Veteran Financing? How Do Pre-Approvals Determine Your Purchasing Power? Why Is Owning a Home More Beneficial in the Long Run? Why Is Buying Financially Smarter Than Renting? Is Now the Time to Become a Homeowner in Sacramento? Does Your Home Insurance Policy Cover Everything It Needs to? Heidi is a licensed California real estate broker with a broad real estate experience from working with buyers and sellers in the residential market, to financing private money, rehab, and property management. With her broad spectrum of real estate investment, she can better advises her client’s investment needs. Contact her and she will take care of you. “We got fantastic results working with Heidi and Billy. Not only did the process go smoothly but we ended up with a payout on the home we sold that was greater than the listing and in fact greater than the initial offer. So they went back, they did what they promised they would do. They marketed the place in a way that made it stand out and they negotiated a deal that was really better than was expected. They were there for us to explain their strategy and the factors that were going into the strategy every step of the way. Even down to the point of providing us with marketing information to explain to us how they were going to list our home, why they were listing it the price they were, how they were going to market it. This kind of attention they are providing you gives you a level of confidence in the whole process and in their skills, frankly, which gives you comfort and confidence that they are going to deliver for you." “It was really good working with them. Our real estate agent Chia Vang, he was really good, very professional. Whenever we had a question, he was always there to answer them. He was really quick with his response. And for us, because we work during the day until 5, Chia knew that we were getting nervous during the house search and so he worked with our schedule. When we would email him he would respond right away, call he would always answer, text message he would reply back very soon. We were fairly young, it’s our first time purchasing a home, we didn’t know the process to it and so, like example, when we really liked a house, and we told him we were interested in it he helped us through the process and he explained to us exactly what was going to happen." “Well I got the house that we really wanted after a process that was very competitive for the buyer of course. Chia ended up coming through, so very thankful that he was able to help us get the house that we wanted. The first lender that I was using, was actually charging me more than was expected and my agent Chia was able to get me over to, he looked at my documents and he was able to get me switched over to a lender to get me a better deal and he was able to get me to do that in a timely fashion where we were able to pull it off and we did this after a couple of weeks of working with the first lender so he did everything that was essential to make it work and in a timely fashion once again. He was there from the very beginning, throughout the whole process, very encouraging, he really helped out with that. If he had not gone through with the new lender, getting me a better deal, which saved me thousands of dollars then we would have lost the house that we wanted." 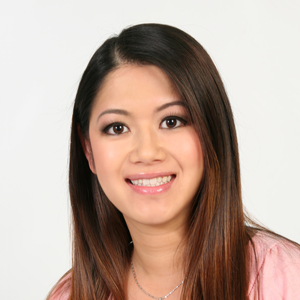 “I’m actually from New York and California was very unfamiliar to me and when I first came here I was actually referred to Heidi Phong Real Estate Team, one of the things, as soon as I came into her office and I saw her bright smile, welcoming, I felt very fortunate because she’s this young but successful career woman but she’s also got this great personality, very similar to mine actually. The way she presented her company, the values she talked to me about her company, for me customer service is very important and I really felt that she felt, she made me feel [like I was] priority. She knew what I wanted. I told her what my criteria were, she tried to meet every part of it. Throughout the entire time she and her team, they were very patient with me. I’m somebody who, I want to buy a house, I want to go see this house. They really, really accommodated me around my schedule, even at night time."